One of the specials I offered this year was a complimentary maternity session for anyone who booked a newborn session with me. I never had maternity photos taken when I was pregnant with my babies and I so regret not getting all dolled up and stepping in front of the camera with my husband for a few photos of just us TWO (and a big ole belly). It has been SO wonderful meeting all the pregnant mamas (and dads-to-be) this year and it has made those newborn sessions so much more special. I love getting to know my clients and forming a bond and relationship with them and I am so thankful for this amazing job. 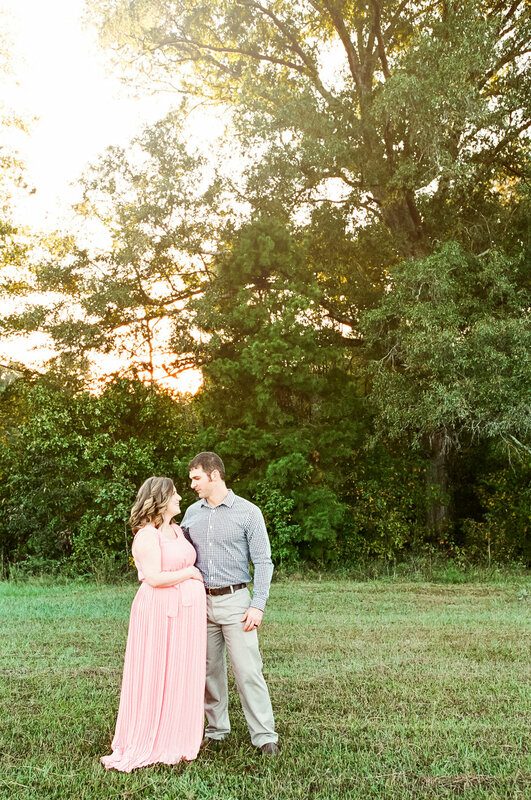 Kelly and Jared are just as wonderful as they look and I cannot wait to cuddle their sweet baby girl in a few weeks!! Here's a little peek at their sunset session!